Australia's Far-right One Nation Recruits Former Labor Leader - Integration Through Media ....! (VOA): A former leader of Australia's main opposition Labor party said on Wednesday he will join the country's most prominent far-right political party, One Nation, in a move that may re-energize nationalist politics. Mark Latham, who led Australia's center-left Labor to defeat at the 2004 national election, said he will join Pauline Hanson's One Nation Party, and will run as a candidate in the New South Wales (NSW) state election due early next year. Latham's move is a boost to right-wing politics in Australia, a movement that has failed at the ballot box in recent years. Hanson's One Nation briefly enjoyed the balance of power in Australia's upper house Senate in 2016 though the party split with the resignation of several lawmakers. One Nation has traditionally enjoyed strong support in Australia's northeast, but saw support wane at last year's state election in Hanson's home state of Queensland. It also flopped at the 2017 Western Australia state election. 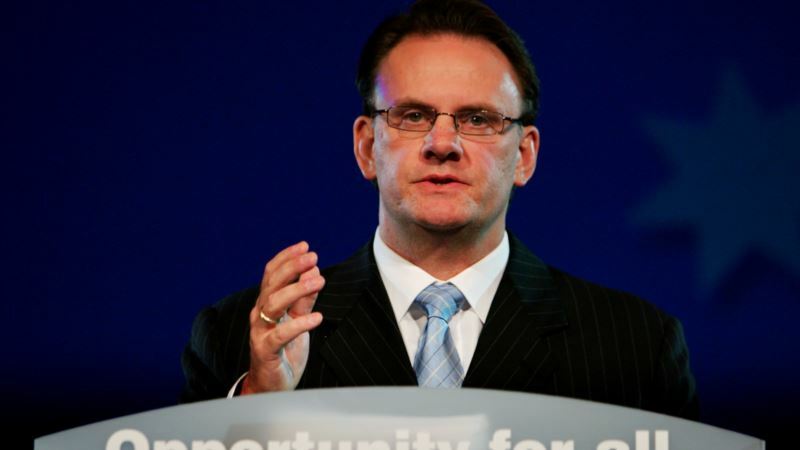 Latham – who in early 2004 looked on course to become Australian prime minister – is a likely boost to the movement. “Latham will get a lot of attention. He has signalled he will campaign on the issue of immigration, which will resonate with voters,” said Peter Chen, professor of politics at the University of Sydney. Immigration is expected to be a centrepiece of the NSW state election and the next national ballot, amid growing voter frustration at urban congestion and soaring house prices. Nearly 70 percent of the 186,000 migrants who settled in Australia last year all moved to Sydney or Melbourne, according to government data. Prime Minister Scott Morrison must call a national election by May 2019, with Labor predicted to win a landslide victory according to opinion polls. His conservative government lost its parliamentary majority on Monday, when an independent candidate was confirmed the winner in a critical by-election in Sydney, and now relies on six independents to stay in power.